Our Costa Mesa office often gets inquiries from people that have already been to a lawyer regarding their will or estate. Sometimes, they already have something in place, but want to review it. And, often as not, it turns out that their previous plan no longer works for their current situation. Although all estate plans should be reviewed regularly, some of the following concepts might help to understand how you should move forward with your own situation, whether you have a plan in place, or are looking to make a plan. All estate plans have two goals: asset protection and estate planning. Depending on your particular situation and desires, one of these might be more important than the other, but all plans will take care of both concerns. The issue is that these goals are often at odds. Asset protection is primarily about protecting your estate from taxes, so that the maximum value is passed on to your loved ones. In some cases, however, you can use similar techniques to protect your property from future creditors. Estate planning is about moving your estate quickly and easily to the people you want it to go to. While a Will does direct your property to the right people, it will put your estate into Probate Court, which has some cost and some delay. In some cases, a lot of cost and a lot of delay. In an ideal plan, your estate will pass automatically upon your death to the right people without court, taxes or costs. If your estate is $5 million ($10 million for married couples) or less, this is accomplished with a living trust. But if your estate is larger than that, or you wish to protect some of your property from future creditors, more complicated tools will have to be used. Almost all of these tools involve giving away your property now, before you pass. Often, you will retain some interest or control over the property for a while, but with restrictions. Depending on the particular tool used, the property may pass from your hands at a predesignated time, or at your death. But, unlike a living trust, you cannot change your beneficiary and you will be limited in your use of the property. These are the things to think about when you review or make your estate plan. A knowledgeable lawyer can help you design the best plan for you. Most advisors, particularly those not familiar with both the law and tax sides of the incorporation decision, tend to advise using an LLC over a C Corporation. And, it’s true, often an LLC is preferable for tax reasons. However, this is not always true and any businessperson should pay attention to the differences before making a final decision. The Limited Liability Company, or “LLC,” is considered to have better tax treatment, because it avoids the “double taxation” problem of traditional C Corporations. For example, a C corporation with a profit of $1 million would pay about $340,000 in federal taxes on the profit, leaving $660,000 of profit. When distributed as dividends, this would get taxed again at 20% (sometimes 15%), for an additional $132,000 in tax, leaving an after-tax amount of $528,000. The same $1 million in an LLC would get taxed as direct income to the members, who are probably at the 40% (rounding up a tiny bit to make the math easy), so the after-tax profits are $600,000, a difference of $72,000 in favor of the LLC. That’s the standard example explaining why the LLC is the better option. But not all businesses are alike. A C Corporation offers advantages, including tax advantages, in certain situations. For example, most states charge a yearly “fee” on each LLC. This fee is not large, but it is mandatory and must be paid whether or not the LLC makes a profit. In California and some other states, it is also based on revenues, not profits. 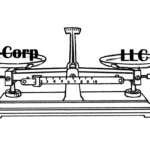 An LLC with high revenues, but not yet making much in profit would be charged thousands of dollars that are not charged to a C corporation. Also, assuming you are in the highest tax bracket, C corporations have low tax rates on lower levels of profit, often significantly lower than the 40% rate most LLC members would pay on same profit, regardless of double taxation. Another benefit of the C corporation is that it pays the taxes itself. Let’s look at the $1 million profit scenario above. In a C corp, if the company needs to keep the profit in the company as a reserve or to expand or some other reason, it has the $660,000 in the bank, ready to go. The shareholders have no additional tax. Although, when the money does come out, there is more tax – that only happens when and if the shareholders actually receive any money. If this were an LLC, the members would have to pay the $400,000 in taxes, reported on their personal tax returns, regardless of how much money actually made it into their hands. 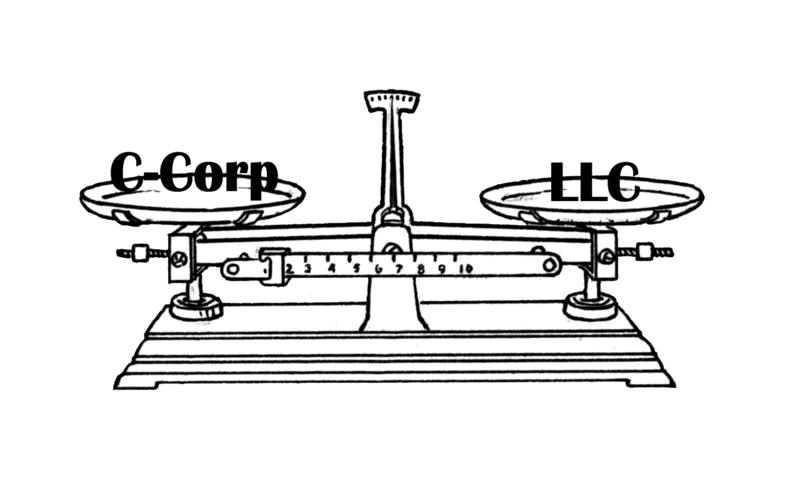 In this situation, the C corporation has $60,000 more in the bank than the LLC after taxes. Also, foreigners will see big benefits from using a United States C corporation over an LLC. Because the US has a worldwide tax policy, an LLC member who is attributed LLC earnings will have to file US taxes, including information on their worldwide income. Although, depending on the circumstances, the additional US tax, if any, will often be small, the reporting and additional work will have to be done. This is not true of a C corporation, even if it actually distributes dividends. This difference alone can make a C corporation more attractive, even if it results in higher taxes. 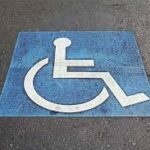 Why am I being sued for disability access? The ADA lawsuit problem has been going on for decades. As a result, most commercial leases now include terms apportioning ADA compliance, often (but not always) solely to the tenant. As a landlord, it is important that you monitor your tenant’s compliance as well as your own compliance in common areas. As a tenant, it is important to notify your landlord of potential common area issues as well as making sure your own premises is accessible. But neither landlord nor tenant should believe that it is possible to hide behind the lease and avoid the ADA lawsuit. The Court won’t allow it. What should I do about my lawsuit? We have helped landlords and tenants fight against wrongful disability access lawsuits in Orange County, Inland Empire, Los Angeles and Northern California. If you think your business is being targetted by a professional litigant, contact an attorney right away by calling (949) 287-6901. One of the most common questions from businesses sued under the American’s with Disabilities Act (ADA) in California is whether they are protected by a “grandfather clause.” Generally, such clauses in the law protect an existing building or facility from complying with new rules made after they were built. While the ADA has such a clause, it is neither as extensive or as protective as the ones they are used to. Businesses usually meet this kind of exception to the law when they work with the local city building codes and inspectors. Making sure your facility qualifies for “grandfathering” often saves lots of money in renovations and construction. However, the ADA is a federal law and, under the Constitution, it trumps local California laws. City permits and inspectors are concerned with local law, so they will often certify or permit architectural features that are acceptable under local law, but are actually prohibited by the ADA. Entrepreneurs should keep in mind that the city permit and inspection process gives little to no insight into whether your facility is “accessible” under the federal rules of the ADA and the ADAAG guidelines. The first misconception about the ADA is that, if your facility was either compliant or otherwise acceptable when it was built, that you need do nothing about making it accessible under ADA standards now. This is what most people think of as “grandfathering.” But the ADA’s clause does not actually allow this. The ADA allows buildings with that were built before the updated ADA regulations to be grandfathered in as long as the deficiency is not readily achievable. I other words, regardless of when or how your facility was built, you must do everything that is “readily achievable” to make your facility accessible or you will eventually face a lawsuit alleging that you discriminated against disabled people under the ADA and related state laws. “Readily achievable” is a slippery legal term and you should get the advice of a knowledgeable lawyer to help you determine what you must do and what you can let go. However, certain things are almost always “readily achievable” – such as: putting up the proper signs, properly striping your parking lot to provide accessible parking, leveling out minor slopes, and placing dispensers at the proper height. 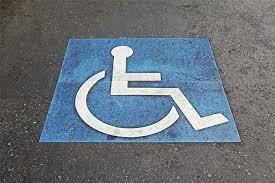 In fact, parking lot striping and signs are the number one most common complaints in ADA lawsuits. The readily achievable standard is a factor-based test that looks into a number of areas. Some of those factors include the practicability of bringing your location to ADA compliance, your financial situation, the physical universe that your location occupies and so on. Sometimes it is just impossible to bring your location into compliance. Many judges and courts have differing opinions on what is readily achievable and its best not to risk making judgments without proper advice. If you are concerned about your parking lot or other features on your property, you should get hire a CASp inspector immediately. They are worth the price. Besides making all “readily achievable” changes, you must comply with the ADA when you make “alterations” to your property. “Alterations,” like “readily achievable,” is a slippery legal term and you should consult a knowledgeable lawyer before making any changes to your property. In very broad terms, alterations mean structural repairs or additions that go beyond routine maintenance and upkeep. While the ADA does not require full compliance to features that were not “altered,” there are important exceptions. For example, in many cases, you are required to provide an accessible path of travel to the altered area, even if the path of travel is not part of the alterations. The bottom line is that businesses can’t count on a “grandfather clause” to protect them against lawsuits. There are simply too many exceptions. A CASp inspection followed by making any minor changes required is your best defense. If you have been targeted by an ADA lawsuit, you have 3 possible responses: you can ignore it, settle it or fight it. Ignoring it is simple, expensive and exactly what the other side wants. If you do not respond, they will ask the court for an “entry of default.” In many cases, this will be within a week of missing the deadline to answer their complaint, which is less than a month after you were served with the complaint. Then, after a time, they will ask the Court to decide your case. The Court will have to make the decision with only the information provided by the plaintiff and his lawyer. In other words, you are very likely to lose the case. Then the Court will issue a judgment against you. This will have three parts: $4,000 in statutory damages to the disabled plaintiff, attorney’s fees to his lawyers, which could range from $5,000 to $20,000 depending on many factors, and that you repair the noncompliant features of your building in a certain time. As you might imagine, this is the worst possible outcome. You will have to pay the most money and have to make repairs, no matter how expensive. Nonetheless, many business owners prefer to bury their heads in the sand and ignore the situation. The second option is to settle it. This is the main way that the other side makes its money. Except for a few law firms, they will typically settle one of these cases for between $3,000 and $5,000. Occasionally, you can fight for slightly less payout or they will hold out for more money. Unfortunately, the most active law firms settle at more than double this amount, usually no less than $7,000, but typically $9 or even $10 thousand. As part of the settlement, they will ask you to make the repairs, often in a 6 month period. The advantage to this option is the certainty. The payout and the end of the case are certain. Often, the law firm will be agreeable to a payment plan. They also don’t necessarily follow up on the demand to make repairs, although that is dangerous for the business, since it leaves them open to another lawsuit, sometimes only months after settling the first one. Several businesses have faced this problem of multiple lawsuits. The third option is to fight it. Changes in California law have allowed a quick and cheap strategy to fight these cases and win. However, you will have to pay your own lawyers’ fess. Most lawyers do not understand how to fight these cases in an economical manner and will quote you a price based on a typical court case – $10 or $20 thousand or more. Because that price is so steep compared to the cost of settling, only the most motivated businesses will agree to fight the lawsuit. However, our firm knows how to fight these cases and win for less than the cost of settlement. If you are served with an ADA lawsuit, think about your options and choose the best one for you. Call or meet with one of our attorneys for a free consolation to fully discuss your options and help determine the best path for you. Planning for your death can be a daunting thought, but it’s a reality we all have to face and should prepare for. To ensure that your loved ones will get the support they need, its best to make an estate plan. In the state of California, there are default rules in place to protect the deceased and his or her assets. However, these are minimal protections based on traditional family relationships. There are many instances where a loved one would not be entitled to the deceased’s estate simply because he or she is not related by blood or the relationship has not been recognized by marriage or adoption. Furthermore, these rules are enforced by the Probate Court, whose expenses come out of your property and which can take a significant amount of time to process your estate. The purpose of a Will or a Trust is to remedy these shortcomings and direct your property exactly where you want it to go. Both a will and a trust puts your wishes on paper, making it clear to the world that you have assets and you want them to go to specific places. Trusts also help save time and money for your loved ones by avoiding a tedious and lengthy probate process. A will is a document that states your property and where you want it to go upon your death. If worded correctly and executed properly, it will trump any default rule. A will takes effect at the time of death, but it is not automatic. The will must go through the probate process, which is the official proving of a will. This means that at the time of death, a probate court will review the will, determine if it is valid, identify the beneficiaries, and institute a process for disbursal of the assets. If there are no substantial problems, the probate process takes a minimum of eight to twelve months. This includes the time is actually takes for a probate claim to be heard and also the waiting period for creditors to make a claim against the estate if any. However, between crowded courts, delays in filing, claims against the estate, and a myriad of other issues that may arise, the process could take much longer. For example, one client’s father, because of poorly drawn legal documents unrelated to the will, is still going through the probate process 3 years after his death. In California, not all estates need to go through the probate process. Under the California probate code, the law allows for simple estates valued less than $150,000 to avoid probate. However, given typical California home values, few estates that include the family home will qualify. Qualifying estates must go through an application process. In addition to the wait, the probate process is not free. Probate costs depend on the size of the estate. Expenses range from $4,000 for the first $100,000 up to hundreds of thousands of dollars for large estates. This cost is paid out of the estate itself. A trust, like a will, is a legal instrument that identifies your assets and designates those assets to go to certain beneficiaries before and after your death. But unlike a will, a trust takes effect instantly at the time of death thereby avoiding probate all together. With a trust, assets are placed in a fictitious entity (the “trust”). Technically, the trust will now hold legal title to all the assets placed in the trust. However, the terms of the trust allow you and your loved ones to enjoy the benefit of those assets, with or without restrictions, as determined by the type of trust. Once a trust is created, a person called a “trustee” manages the trust according to the instructions placed in the trust. For example: “the income from my rental property shall benefit my daughter Alex for ten years after my death, then give her the property.” Upon death, the trustee is responsible for paying out the income of the rental property to the beneficiary while the trust remains the legal owner of the property until ten years pass, when the beneficiary will get full ownership of the property. The most common trust, usually called a “living trust,” is a revocable, transparent trust. Because it is revocable, you can revoke the trust at any time and get your property back. “Transparent” means that the trust, although it has a legal existence, is not evident in your day to day life – it is set up so that you can use your money and property just as you had before the creation of the trust. There are many other types of trusts, each of which provide different benefits and consequences. For example, irrevocable trusts transfer ownership and control of the asset during the lifetime thus making the giving of the asset a life-time gift instead of a gift after death and charitable trusts benefit charities and can sometimes help avoid estate taxes upon death. Speak to an attorney about the pros and cons of each trust and what would best make sense for you as each trust carries different tax and control consequences. Although it sounds like a trust has every benefit over a will, there are some drawbacks. First, a trust costs more to set up than a will. The law is very generous as to what constitutes a will – a handwritten note with your signature is sometimes enough (although it is best not to dispose of your property without legal advice). A trust, on the other hand, is a complicated legal document which could have serious consequences for you immediately if not written correctly. Professionals will charge more for a trust than a will. A trust must also be filed with the State and your property must be officially put inside the trust. If you do not keep up with your trust, when you pass, there could be significant property that is not in the trust and will have to go through the probate process. In a nutshell, both wills and trusts provide for your loved ones after your death. They both ensure that your assets go where you want them to go. However, with a will, probate is almost always necessary if the estate is large enough. The cost of creating a simple will is relatively low and generally, no transfers or additional paperwork is required to effectuate your last wishes. On the other hand, creating a trust can help avoid the costs and time of probate but will require more cost and effort in initial set up. Trust creation requires placing your assets into the trust meaning you will have to transfer legal title of real property and other such property into the trust and you have to keep up the trust after it is created. Additionally, both wills and trusts should be reviewed regularly and modified as your life needs and property change. The information on this website is for general information purposes only. Nothing on this site should be taken as legal advice for any individual case or situation. This information is not intended to create, and receipt or viewing does not constitute an attorney-client relationship. Please contact an attorney for your specific situation as all cases vary are require specialized attention. One of the most common questions that people ask me is how renting out property affects their taxes. The rules are actually quite complex, and you should definitely seek the advice of a professional, but here is a simple overview. Generally speaking, renting out real estate is considered “passive income.” This is the worst type of income to have (for tax purposes). Passive income counts as regular income and is taxed at the higher rate, but the losses you can take are limited and provide no relief from taxes. Unlike an “active” business, where losses can be deducted from your income, rental business simply sets those losses aside to be used later, and that later day never comes for all too many taxpayers. The most important thing to remember about a rental is that, for tax purposes, they often lose money. This is because you have to take a depreciation deduction on top of your other costs for the building or property. On the one hand, that will mean your rental income is rarely taxed. On the other hand, it means that your losses will not save you any tax dollars. There is some good news. People making less than $100,000 per year in other income can deduct up to $25,000 of passive losses. Over that amount, the amount deductible phases out until it is $0 at $150,000 of income (for married couples). What this means for you is that you should understand that your decision to buy a rental property should not be influenced by the idea that it will generate tax savings. However, there is an important opportunity. “Real estate professionals” do not have the passive activity loss limitations on real estate. To qualify as such a professional for tax purposes, you have to spend at least 750 hours per year actively working on your rental business. But that is not the only requirement. If you believe you spend enough time on your rentals, you should ask your tax professional about the other requirements. It could mean big savings. Starting July 1st, 2015, any California employee that works 30 days or more within a year is entitled to paid sick leave. The new California law called the Healthy Workplace Healthy Family Act of 2014 (AB 1522) applies to all California employees whether full-time, part-time, or temporary. For every 30 hours worked an employee gains one hour of paid sick leave. Accrual begins on the first day of employment or July 1, 2015, whichever is later. Not all employees receive this added benefit however. Employees covered by qualifying collective bargaining agreements, In-Home Supportive Services providers, and certain employees of air carriers are not covered by this law. That means for an employee working 40 hours a week for 48 weeks out of the year (assuming four weeks off a year), an employee will accrue 64 hours of paid sick leave a year or eight days. Employees should not get too carried away with planning eight day vacations just yet. There can be limitations on how many of those hours can be redeemed at one time. An employer can limit the amount of paid sick leave an employee can use to 24 hours or three days. The benefit to employees does not stop there. An employee may carry over her unused sick leave up to 48 hours or six days to the next year. This new law will be enforced, and failing to comply may result in penalties and fines (up to $10,000). An employee can also have claim against his or her employer for failure to comply with the new standards. Ignorance of the law is no excuse. Employers must provide notice to their employees of the new law in the work place as of now or at the time of hire. They must also reflect sick leave accrual on paychecks and allow for sick leave upon reasonable request. There are alternative methods to providing for sick leave by the accrual method explained in the example above. Employers may choose to provide sick leave in advance at the beginning of the year (which can cap the sick leave to three days), or employers may choose the Paid Time Off (PTO) method. The bottom line is employers are required to provide at least 24 hours or 3 days of paid sick leave a year depending on what sick leave method an employer chooses. Please refer to your attorney about the different options available and which if the best for your business. 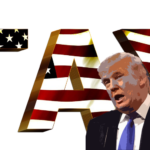 Many people do not realize that the United States has a unique taxation philosophy – all of any United States resident or citizen’s income, earned anywhere in the world, is taxable here in the United States. It bears repeating – if you are an immigrant or citizen and you have money in an account in your home country, not only is that interest income taxable here, but you must report that foreign account to the IRS on your yearly tax returns, if the balances on your foreign accounts exceed $10,000 at any point during the year. When we tell our clients about this policy, they often don’t believe us. It does not make sense to them, but it is the way that the United States tax system works. As a result, those who have foreign bank accounts and investments have often not reported these accounts and the income derived from them. Although this was illegal, the United States government did not have the ability to discover what was in these accounts automatically, the way they would with domestic financial institutions, so non-reporters often faced no consequences. But, as of July 1, 2014, that has all changed. The United States has begun seriously going after overseas bank accounts. The Foreign Account Tax Compliance Act (“FATCA”) has mobilized the State Department to actively seek treaties that require foreign financial institutions to report account information of US residents and citizens to the IRS. Over 100 nations have signed such treaties. In fact, since the banks, investment houses and financial institutions of those nations are obligated to report, even for accounts in non-signatory countries, your account may not be safe, even if it is located in a “safe” country. Furthermore, the State Department is actively pursuing all nations around the world, and is getting more countries signed up each month. For example, Switzerland, one of the most famous bank havens in the world, was signed up well over a year ago. Already, foreign institutions are now sharing their account information with the IRS. At the end of this post, there is a list of websites with more information, including a list of countries that have agreed to share information with the United States. What Does FATCA Mean for You? FATCA means that your overseas financial institution will now report your account balance and earnings to the IRS. Just as the IRS knows how much income you had from your employer’s W-2 form or 1099 form, it now knows how much money is held in foreign banks, investments and other financial instruments. If you have not previously voluntarily reported on the account, you will be liable for a penalty. These laws and reporting apply to any United States resident or citizen. Permanent residents (holders of “green cards”) and anyone that has lived in the United States for more than 180 days of the year are included, as well as citizens. In fact, US citizens or permanent residents that live and work overseas must also file US tax returns, including reporting on their foreign bank accounts. The penalty comes in two tiers. For those that innocently, through lack of knowledge, did not report on these accounts, the penalty is $10,000 per account per year, for up to 6 years. Thus, someone with two overseas accounts for the past 5 years would owe $50,000 per account ($10,000 for 5 years) for a total of $100,000. This penalty is not related to the amount of taxes you owe on the income or on the bank balance. You could owe this penalty even if the total amount of money overseas was as little as $40,000. The second tier is for those who have willfully avoided reporting their accounts. In other words, those that knew of the requirement, but purposefully failed to comply. This penalty is 50% of the account balance for each year it was unreported, up to 6 years. That means up to 300% of the balance. For example, if you had $100,000 in an unreported overseas account for six years, then you could be liable for a $300,000 fine. In addition, this tier may involve criminal charges, with penalties that could include jail time. This is easily the harshest penalty for any tax matter. Fortunately for those with overseas accounts, there is a much cheaper alternative. The IRS has an amnesty program for those that voluntarily and truthfully disclose their foreign bank accounts. Until recently, the voluntary disclosure program carried a cost of 27.5% of the balance in the foreign account. But, as of July 1, 2014, they have reduced that to 5% for most taxpayers (the ones that would qualify for the first tier penalty described above), depending upon circumstances. As long as you or your overseas financial institution is not currently under IRS scrutiny, you may qualify for a voluntary disclosure program with just a fraction of the penalties for non-disclosure. What is the Risk of Non-Disclosure? The difference between voluntary disclosure and non-disclosure is stark. Non-disclosers may owe up to 300% of the bank balance. For some, that is more money than they currently own. Even those that qualify for the first tier penalty could easily owe over $100,000, even on relatively small accounts. Compared to that, 5% of the bank balance for voluntarily disclosure is a negligible amount. Let’s consider an example – a person with two accounts overseas, a checking account of $20,000 and a savings account with $30,000 for a total of $50,000 and a simple domestic tax return without complex issues. The first tier penalty on this money would be $120,000. The second tier penalty would be $150,000 and possible criminal prosecution. However, if they qualify as not willful, and voluntarily disclose, they would owe an estimated $1,000 of back taxes and penalties (this depends on many factors, including which country, the interest rate and past exchange rates), $2,500 for the 5% penalty and estimated attorney’s fees of $3,000 (this also depends on many factors and is made assuming a simple tax return and simple interest income from overseas) for a total of $6,500. The difference is striking – $6,500 compared to $120,000 or even $150,000. Moreover, the longer you delay disclosure, the more willful it will look in the IRS’ eyes and the more likely that you will be assessed at the second tier penalty. Also a word of warning to those that have recently or will soon close those overseas accounts – the information gathering and reporting requirements go back up to 6 years, so you could still be on the hook for large fines. Simply closing the accounts and moving the money back to the United States may not protect you. Unless your overseas accounts are small, the best route is to hire a professional. Unlike some other tax matters, a Report of Foreign Bank and Financial Accounts (“FBAR”) is a complicated matter that requires professional help. Not only will you have to properly report several years of records and accounts, but you will have to amend your past tax returns to account for the changes. Not to mention protecting you from any further consequences and minimizing your new tax liability. If possible, find a firm like ours where the entire FBAR process is in-house, to reduce your overall costs, since there won’t be any extra bills for the exchanges between the accountants and your lawyer. Although it may be tempting to use a CPA instead of a lawyer for this process, only a lawyer offers attorney-client privilege protection that could become critical if you are judged to have willfully failed to report your accounts. If you have any questions regarding your foreign accounts or would like to learn more about your liability, please contact us at (714) 510-5608 to make an appointment.